Virhan Luang Por Toh near Sikhiu is a newer temple with a nicely designed and maintained Park. 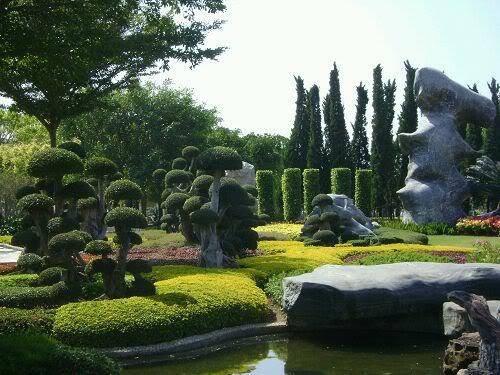 The sculptures and artfully sculptured plants are a beautiful setting for every hobby fotographer. It's a place for visiting with the whole family. There are also plenty of souvenir shops.